The Cowboy Birder: The two L's of birding? Remember the days when this Blog was crammed full of interesting topics about birds, with one or two half-decent images thrown in to boot - how quickly things change! 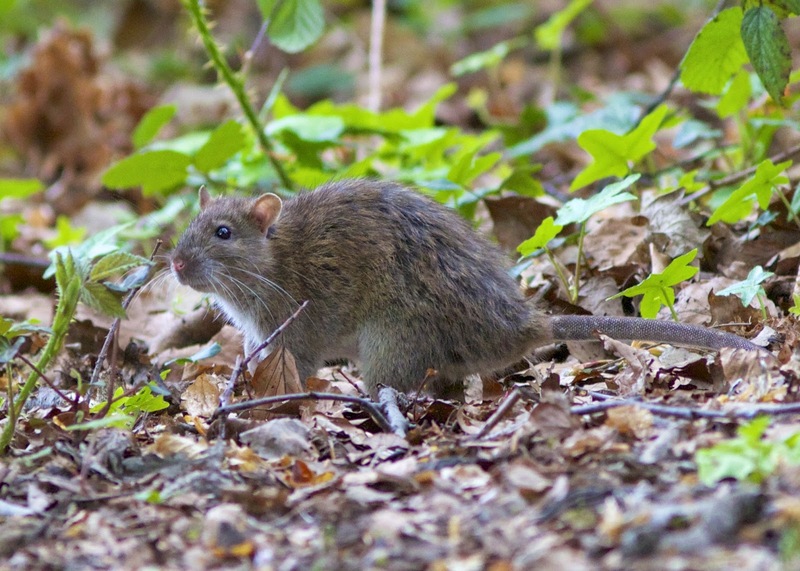 I've now resorted to posting photographs of London's most numerous rodent in a vain attempt to throw-up some interest in this rapidly declining Blog - so what has changed? Basically the two L's - Lifestyle and Luck. Having spent the best part of last year unemployed, I had acres of spare-time to pursue my favourite past-time, of course this was squeezed in between the odd school-run and a few domestic duties, oh and job-hunting! But now fully employed with a young family to entertain, my free time is now at a huge premium, I'm lucky if I get the odd morning at the weekend to enjoy the wider-world outside, and because this is such a small window of opportunity my fortunes in seeing, let alone photographing something of interest percentage wise is rather small - am I complaining? No - I wouldn't change a thing but I wouldn't mind a little bit of the old luck! I estimate birding is made up of 60% luck, 20% aptitude and another 20% knowledge, so whether you stumble across a Wryneck on your local patch, see an Osprey drift over your house or even find a yank Warbler feeding on your bird table, it's all mostly right place, right time - you can increase your percentages by being in the right place, at the right time, on the back of reading a decent weather forecast or by constantly just being in the field (which I'm not) but still, I believe birding is mostly made up of luck, and if she's not currently smiling down on you, it can be a tough and lonely place (ok, tough and lonely is bit over the top, but you get my drift). What I'm trying to elude is this, I'm still going through a lean-time on the birding front and spending what little free-time I do have wondering around Wanstead Flats in the hope of seeing a Shelduck flyover (still missing from this year patch-list, despite numerous sightings by others) has become all rather frustrating, when at the same time I could be on the coast tripping over migrants, experiencing flocks of waders, or witnessing large moments of Terns and Skuas, or anyone of numerous other birding scenarios - so it's time for a little change of scenery. My next foray won't be chasing yet another uninspiring patch year tick, but to some remote coastal peninsula, hopefully surrounded with birds and a CF card full of crisp images - but the way my lucks been going, the guys will pull a huge mega out of the bag and my next birding window will be spent back on the Flats trying to bloody relocate it! Common around the Alexandra Lake area and a lot easier to photograph than those darn flighty Lesser Whitethroats!